The New Face of America? Who is the man in the photo below? Is he us? And by “us,” I mean the half of the country that, with the assistance of a foreign power, ruthless gerrymandering and big, dark money—not to mention a last-minute assist from the FBI director—put the present administration in office. His name is Adam W. Purinton and judging by his photo (and why not? Don’t we always make snap judgments about whole classes of people based on their looks?) he is a poster boy for what we used to term “poor white trash”: ugly, mean-looking and radiating ignorance and hostility. Who is this? Is he us? Photo: Henry County Sheriff’s Office, via Associated Press. Last Wednesday evening, at a bar in Olathe, Kansas, a suburb of Kansas City, Purington verbally assaulted two immigrants from India who had been working here legally for many years, using racial slurs and telling the men to “get out of my country.” Both worked as engineers for Garmin, a GPS navigation and communications device company and a maker of highly regarded professional running watches. When customers complained about Purington’s obnoxious behavior, he was kicked out of the bar. 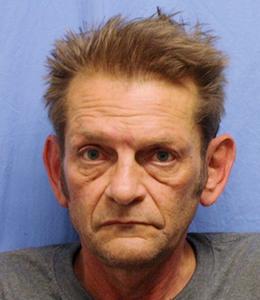 He returned later and shot both Srinivas Kuchibhotla and Alok R. Madasani, as well as an American who came to their defense, Ian P. Grillot. Kuchibhotla was killed and the other two men were wounded. Purington fled to neighboring Missouri where he was soon captured. Purinton has been charged with murder and the federal government has launched an investigation to determine if the shooting was a hate crime. Well, d’uh. Is Purinton the new face America is showing to the world? This is still ostensibly one country, and the government response here in the U.S. has been both dishonest and inadequate. White House spokesman Sean Spicer claimed it was absurd to suggest President Donald Trump’s anti-immigrant rhetoric could be linked to the Kansas violence. There is one belated bright spot: a GoFundMe campaign set up to help the family of the murdered man has raised more than $625,000 to date. Is this the way it’s going to be in Trump’s hate-mongering America? Decent people left trying to atone for the mindless violence the administration has unleashed? Author tpletcherPosted on February 26, 2017 October 21, 2017 Categories Politics/HistoryTags Adam W. Purinton, Alok R. Madasani, anti-immigrant rhetoric, Ian P. Grillot, Srinivas KuchibhotlaLeave a comment on The New Face of America?